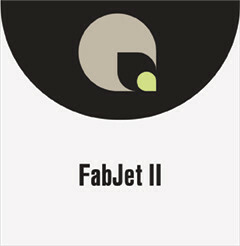 FAB-JET II is an ultra removable adhesive backed polyester fabric. It features an opaque print surface that is water resistant and OBA free. Coating is compatible with solvent, eco-solvent, UV curable and Latex printers. Delivers high color gamut, fine line definition and photo realistic image quality. Cuts easily around fine detail without fray or release liner separation. The micro-sphere adhesive is ultra removable and leaves little or no adhesive residue. When installed to clean surfaces FAB-JET II can be applied and removed multiple times. It is suitable for outdoor promotional applications on windows, doors, bus shelters, sign boards and other flat surfaces.